The boys from across the pond are honing in on the area of the Big Apple with a show at the Izod Center in East Rutherford, New Jersey (just a stone’s throw from NYC). That’s right – One Direction will be gracing the New York metropolitan area with their presence just next week, on July 2, 2013. Need tickets for screaming daughters, sons, and their friends (or just for yourself – we won’t judge)? SeatGeek is the place to nab tickets to see the (current, at least) crown jewel of United Kingdom boybands – just keep away from Harry. We hear he’s quite the Lothario. For those of you who haven’t had the pleasure of a show at the Izod Center, it is a part of the Meadowlands Sports Complex in East Rutherford, New Jersey. Opened in 1981, it was formerly the home to the New Jersey Nets, New Jersey Devils, and Seton Hall Pirates, though all teams have moved to greener pastures. Currently, the Izod Center acts mainly as a concert venue. Why so popular? It’s cost and acoustics are superior to nearby Madison Square Garden. 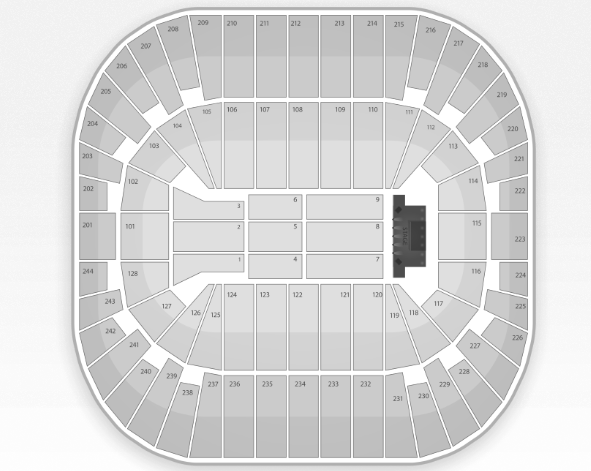 For tickets to One Direction shows or shows from your other favorite artists, stay on SeatGeek for the latest.